Flip a coin. 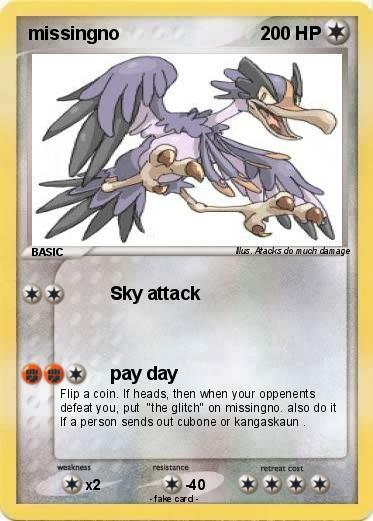 If heads, then when your oppenents defeat you, put "the glitch" on missingno. also do it If a person sends out cubone or kangaskaun .